[T]hey will be releasing a limited-edition box set of their Christmas holiday messages, originally given only to fan club members on flexi-discs from 1963 to 1969. Pre-orders are up on Amazon. A box set of all 12 of George Harrison’s solo studio albums will be released on vinyl on February 24th. Lego will be releasing an exclusive The Beatles set based around the Yellow Submarine. It’ll be in stores on November 1st and retail for $59.99. The idea came from the company’s crowdsourced website. 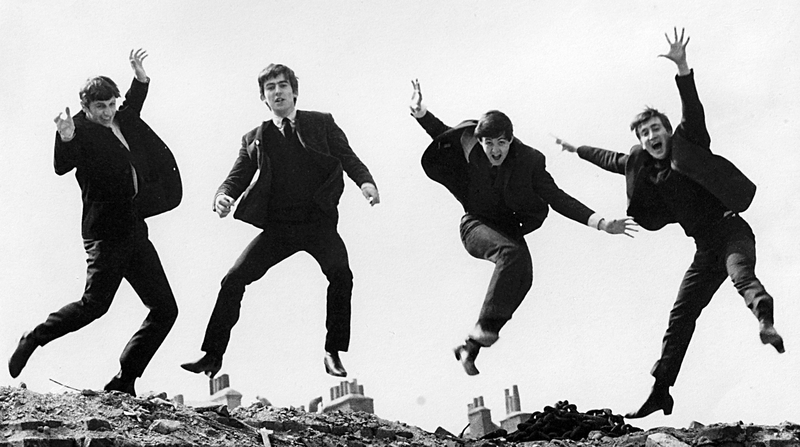 The Beatles have announced that they will be releasing Live at The Hollywood Bowl this fall. The new version will contain a new master and four additional tracks. A new, remastered live album containing the Beatles’ performances at the Hollywood Bowl in 1964 and 1965 will be released this fall. The album, Live at the Hollywood Bowl, coincides with a new documentary by Ron Howard about the band’s early career, dubbed Eight Days a Week – The Touring Years. Rihanna has now spent more weeks at #1 on the main singles chart than the Beatles. Rihanna’s 14 chart-topping songs have racked up 60 weeks at the upper-most spot on the Hot 100, though it took nine years and 11 months do so. (RiRi’s first #1 was “SOS,” which hit the top in May 2006.) The Beatles amassed 20 chart-topping singles on the Hot 100 over a six year and four month period, between February 1964 and June 1970 — all for a cumulative 59 weeks at #1.